As a Nonprofit executive, you have the unenviable task of performing the impossible with little capital. With this in mind, Branding For Nonprofit Organizations should be of interest to you. As you may guess, everyone has a different definition of what “Branding” means. In this case, I created the organization’s name, logo, and design of all the supportive media, i.e. Website, Banner, Posters For Events, Facebook Ads, and some Public Relations. 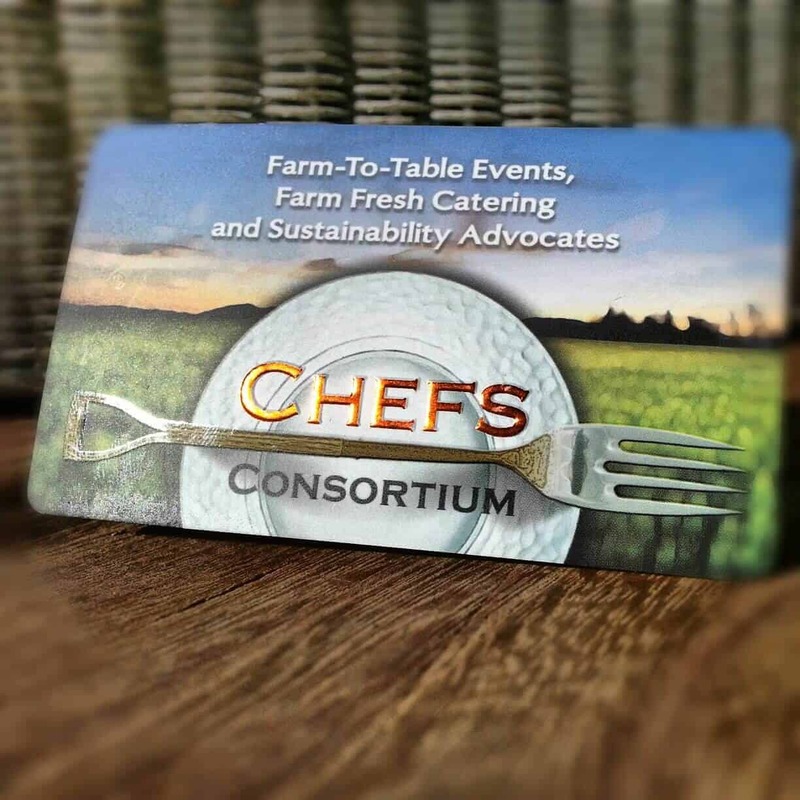 To begin with, Farm-To-Table is the established mission of the Chefs Consortium. My objective is to portray their message of Farm-To-Table in an easily recognizable way. There are several strategies a graphic designer could take when starting the design process. They boil down to literal or lateral ways of approaching the logo design. I always try to “keep it simple” and it’s always good practice “thinking outside the box”. 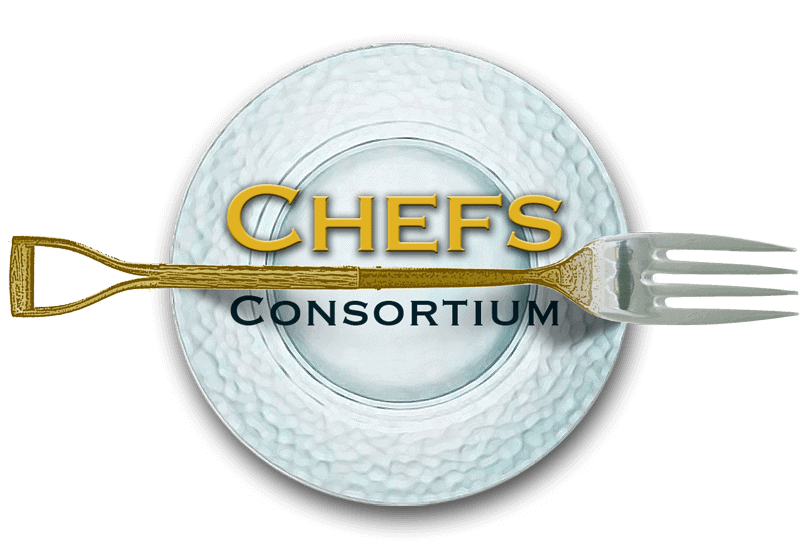 In this case, I chose to a literal approach which means incorporating some object that conveys the Chefs Consortium mission statement. -- Edward de Bono, coined in 1967. Well, developed the nonprofit’s name and logo. Now, what’s next? The answer is getting the message out in different media and in many ways. 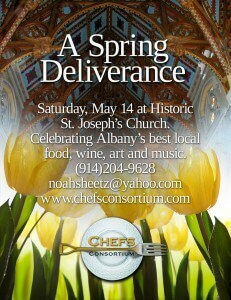 One of the first events the Chefs Consortium announced was a celebration of locally-sourced food in a historic church in Albany, New York. With this in mind, the time of the event is Spring and what better way to represent a season of new life than with tulips. Farm-To-Table is typically a “slow food” process that includes handmade products. 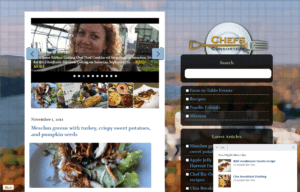 For that reason, Chefs Consortium wanted to try their hand starting their own food line. 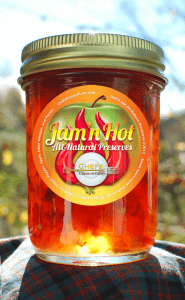 The result was the production of Jam’n Hot is pepper (hot) inspired jams.